Creating that picturesque cottage aesthetic is something many cottage owners aspire to achieve, but don’t know where to start. 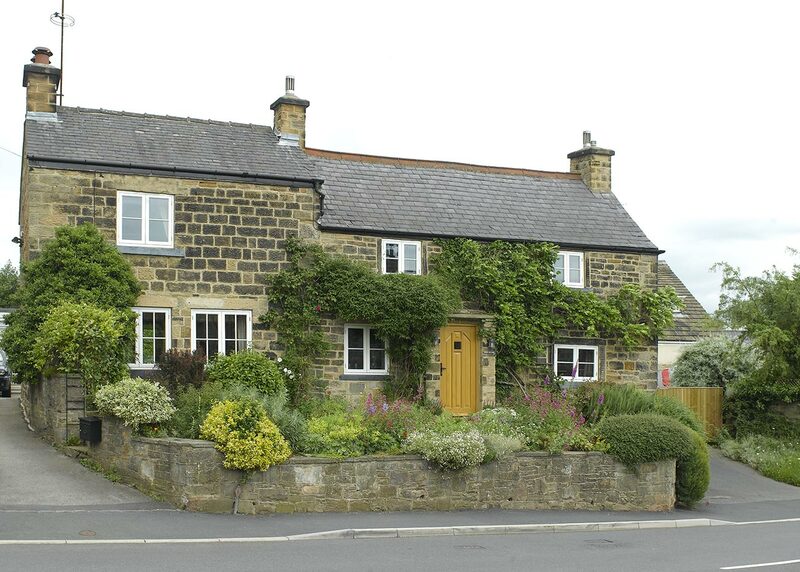 Maintaining those unique period features can be integral to both the property and the owner, and at Yorkshire Timber Windows we know how to create the classical cottage look without losing any of its character. An inviting home isn’t just admired by passers-by, but by those who live there, and one of the biggest changes you can make to create a welcoming exterior is by changing your door. It’s one of the first things that people notice, which means it needs to be reflective of not only your cottage’s style, but your personality. But knowing what your home’s style is can be tricky, especially if this is the first time you have made any changes to the exterior of the property. For that cosy cottage feel, we recommend a Staverton or Rawlinson front door, which fit just perfectly with a thatched roof and draping wisteria. Or if you’re after something a little more contemporary, then our Belbroughton, Obserton or Wentworth front door will be right up your street. Another door that screams the traditional cottage style is our Stable Door range. Perfect for kitchens and utility rooms, these finish off your country cottage aesthetic and can be highly practical when it comes to stopping children or pets unknowingly leaving. The type of door characterises your cottage style, but the colour and finishing touches are what bring it to life. Giving your home a personality adds a little bit of love, and we all know a little bit of tender-loving,-care can go a long way. A sunny yellow gives off an inviting ambience, whereas earthy blue’s connects with the surrounding countryside. Smokey greys and greens look endearing against light stone walls or brickwork, but if your cottage was built with dark bricks or dusky stones, then something a little lighter and brighter can be a perfect combination. When it comes to choosing the paint finish, matt or eggshell suits the countryside unlike urban locations, and to complete the look you need to have a careful think regarding the door hardware. To maintain a heritage feel we suggest opting for black ironmongery, however to bring a fresher feel to the design, we recommend choosing something silvery. Changing your doors makes a huge difference to the look of your cottage, but don’t let that difference slide with shabby looking windows. Replacing or restoring windows doesn’t just give your cottage a facelift, but can inject a little love back into your feelings towards your home. They can be an eye-catching feature if styled right, and paint a picture as to what lies within. Knowing what type of windows to paint a certain type of picture can be a complicated process, but our extensive styling knowledge makes that process a whole lot simpler. To replicate that traditional style, we recommend choosing from our either our Traditional Casement range or Traditional Sash range. Traditional Casement windows are characterised by their individual glazing bars, which add an element of charm to any period cottage. Our Traditional Sash windows open upwards rather than outwards, and look stunning on a quaint cottage in the middle of the countryside. If you’re looking for something a little more modern, we recommend opting for our one of Contemporary Casement or Sash Windows that add a fresh twist to the exterior of your home. Alternatively, we can create one-off designs that add a personal stamp to your home whilst retaining some intricate period features such as detailed glazing bars or intricate arches. The colour of your windows is as equally as important as the colour of your front door. White or cream windows work best when paired with a coloured door, However, if you paint the window reveals the same as your door colour it can make your windows seem bigger than they are. 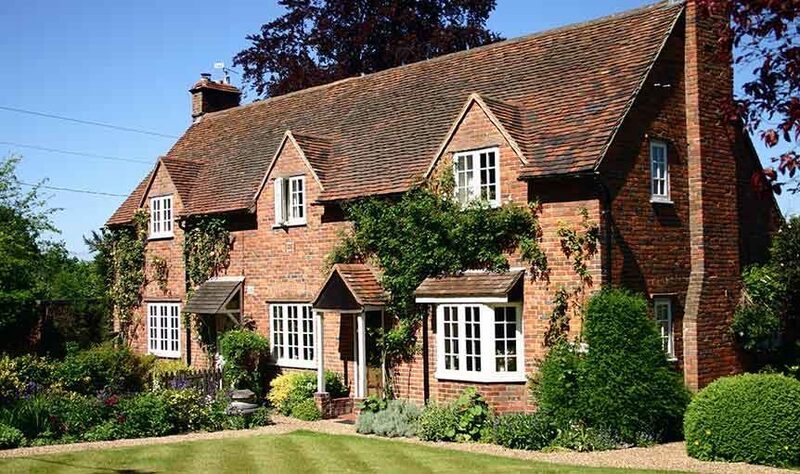 To make your cottage really stand out, consider other exterior elements give you that English country style. Window boxes can be painted the same colour as your frames and add something special when you have blooming flowers bedded in them. Likewise, hanging baskets can frame your front door, making it a focal point for those walking past. You can also consider painting your surrounding fence, shed, wooden table in similar colours, but never use more than three exterior colours as it can draw attention away from your humble abode. All of our doors and windows are installed with fully integrated locking systems that adhere to security standards, ensuring you can feel safe and sound in your own home. To find out more about our cottage solutions, get in touch by giving us a call or filling out our enquiry form.